Shoprite’s biggest savings promotion of the year, Big Red Friday Friday, is back again! 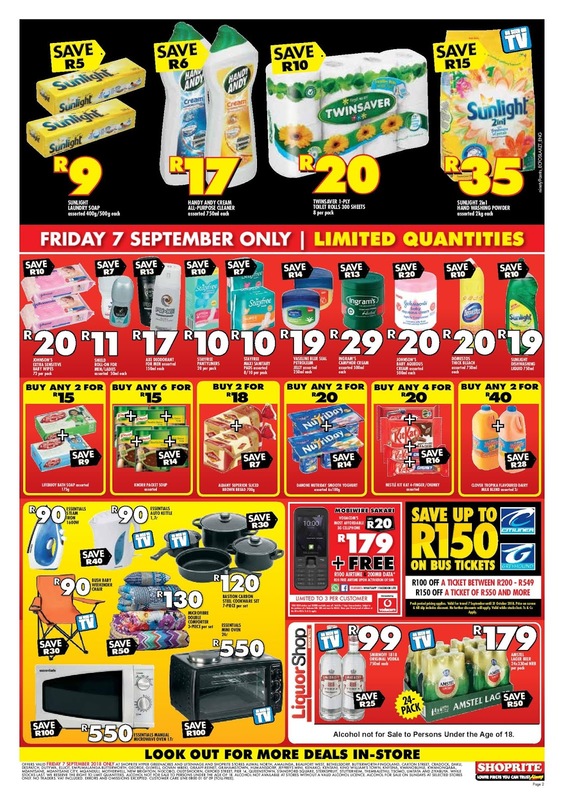 This Friday, 07 September 2018 customers can expect incredible savings of up to 50% off on a wide range of food and household products, for one day only. 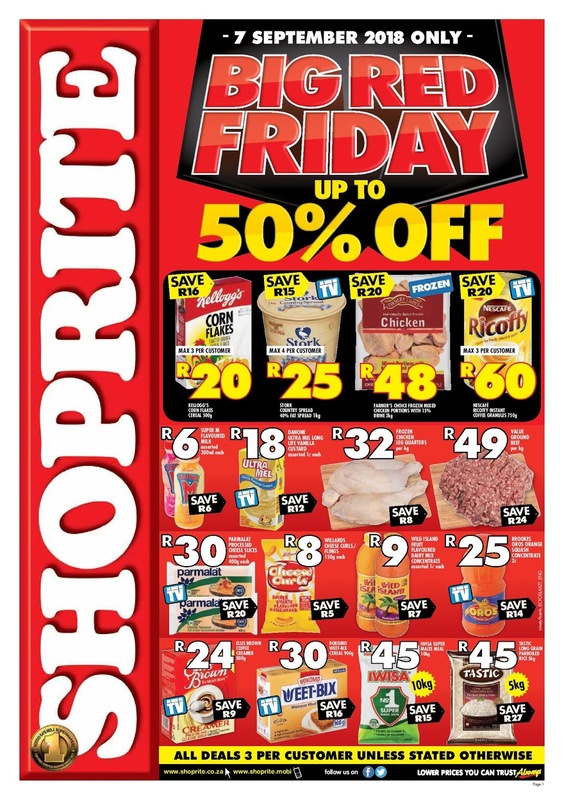 With recent increases in the petrol price, looming increases in electricity prices and rising food inflation, Shoprite’s Big Red Friday promotion will undoubtedly serve as a welcome reprieve for cash-strapped consumers. Shoprite is sticking to its promise of bringing every day low prices to consumers. Now, with Black Friday Friday, it is taking this promise further by offering even greater savings for consumers to take advantage of.